This is truly a real eye catcher that wears your body well thanks to Sweet Look's technology set for the newest Sweet Look collection. Modern and comfortable design to rise even better the woman's shape. Perfect fit in waist and thighs. Shape Memory fabric that helps holding its shape all day long. 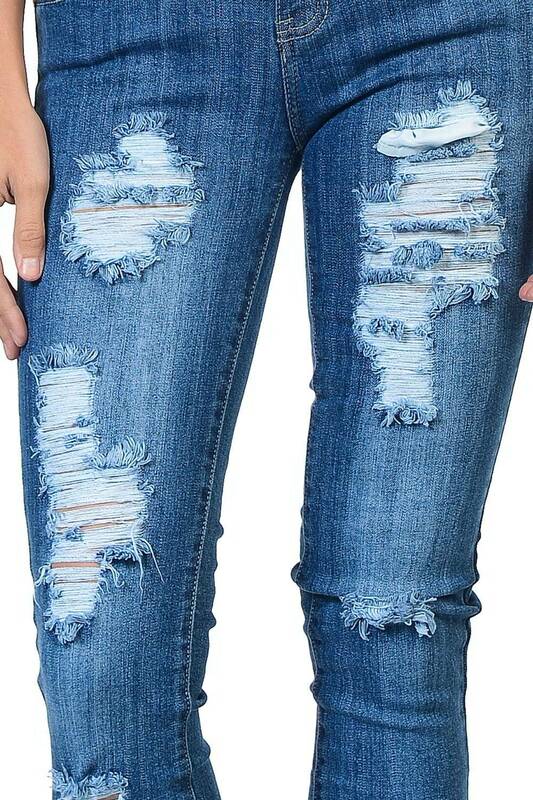 Ripped detailing are unique and vary from jean to jean.